If you have a growing family, then the house you’re in might be feeling smaller and smaller by the day. For this reason, your thoughts might be turning more and more toward the basement and the things that you can do with it to free space up in the other living spaces within your home. 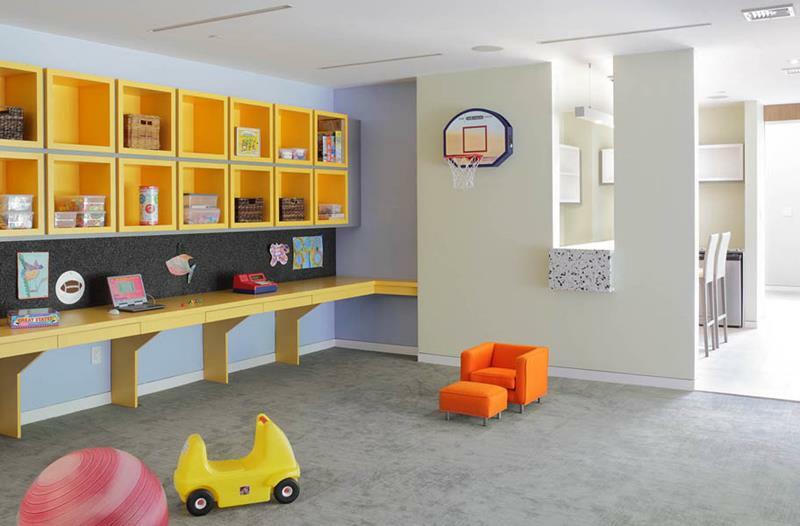 Whether your basement is finished already or you’re planning on finishing it soon, it’s worth keeping this in mind: a basement can always be turned into an attractive play area for your children. For one, you can provide them with plenty of space to keep their toys. Also, since everything will be in the basement, your children’s clutter will be far away from the eyes of visitors that you entertain in the main living spaces of your home. 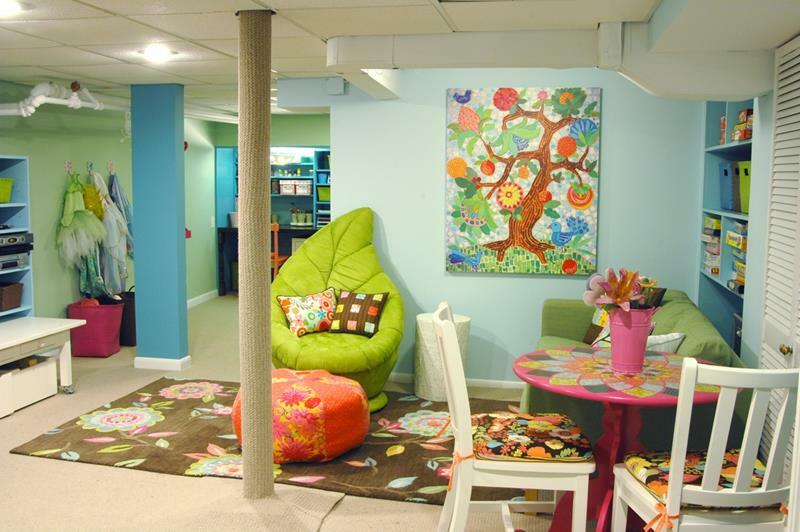 So, if you’re thinking that a child-friendly finished basement might be just the thing for your family – and may increase the longevity of your current home – then take a look. These 24 examples that follow are all incredibly well designed, and any one of them might provide the inspiration for your child-friendly finished basement, which will be enjoyed by your kids (and maybe even you and your spouse) for years to come! 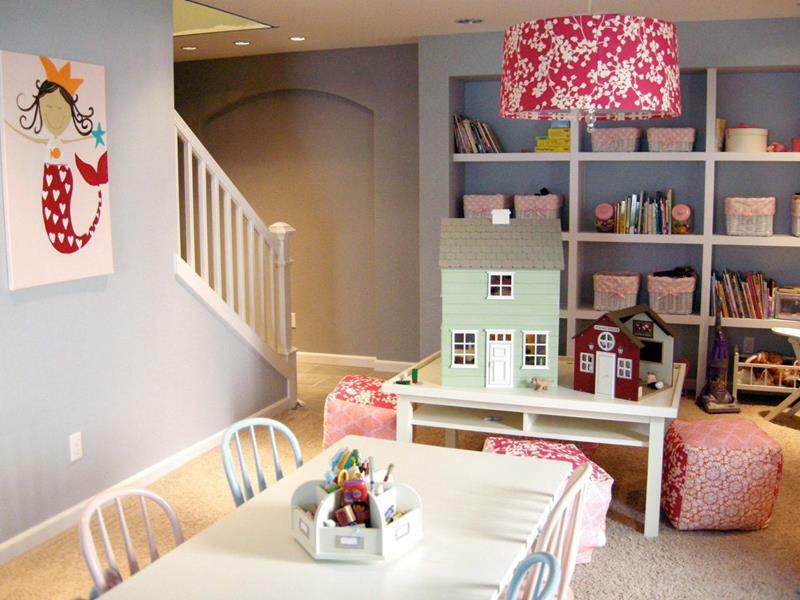 The light purple colors and ample storage make this finished basement an ideal place for a little girl to express her creativity. 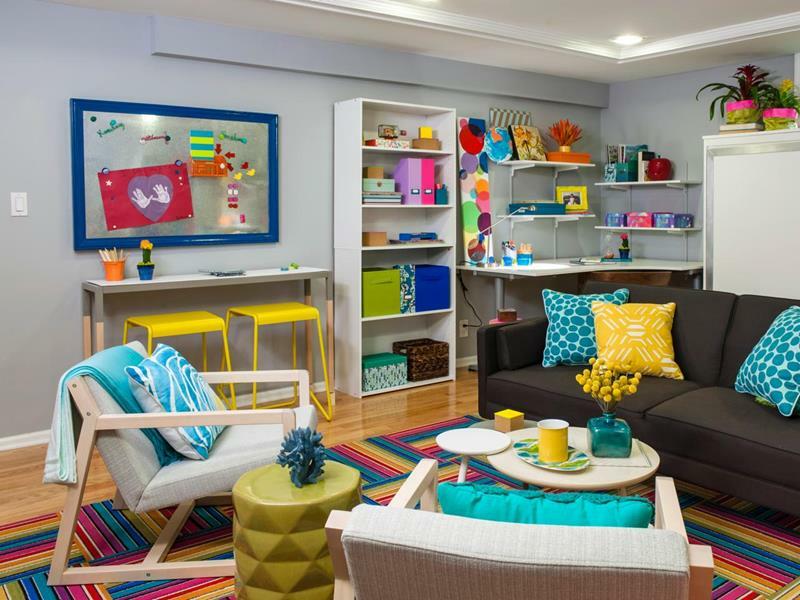 The bright color scheme adopted by this finished basement makes it an awesome place for enjoying “family time” with the little ones. If you need to keep control of cleanliness and keep things out of reach, high storage cubbies like the ones you see here could work well! There are a number of great design choices in this kid-friendly finished basement, perhaps none more awesome than the chalkboard wall!